Penny is an environmental scientist by background who has worked on the biogeochemistry of aquatic systems, and the impacts of food production and environmental change on the quality of inland and coastal waters for the past 25 years. 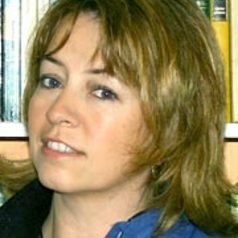 She has provided advice to a range of UK Government and international agencies on the nature and scale of nutrient enrichment in waters, the consequences of this enrichment for ecosystem health, and the most effective strategies for the control of nutrient flux from land basd sources to waters. She is currently a member of the UNECE Task Force for Reactive Nitrogen and its Expert Panel on Nitrogen Budgets, a member of the NERC Pool of Chairs, and the IAHS International Commission on Water Quality. Penny has broad interests in environmental pollution, risk, adaptation, policy and management, and in the challenges we face in resolving the inherent conflicts between meeting demand for water, food and energy security in the short to medium term. She works with researchers across a range of disciplines to meet these challenges, from chemical to biological, geographical, environmental, earth, agricultural, social and political sciences. Key findings from her research to date have highlighted the importance of dissolved and particulate organic N and particulate P fractions in the total nutrient load transported to and within fluvial systems; the importance of short-term, extreme flow conditions in controlling the nutrient source/sink function in aquatic ecosystems; and the necessity, when upscaling from plot to catchment or national scale, of defining as the base unit for modelling physically-defined, quasi-homogenous geoclimatic units exerting broadly similar controls on the rate of diffuse nutrient flux from land to water. This latter approach has recently been developed under the NERC Environmental Virtual Observatory programme to provide a regionalised modelling framework for coupled hydrological and biogeochemical modelling within an expert system. Ensembles of optimised models identified within the regionalised framework can be run through the framework by busy environmental practitioners, removing the need for expert knowledge to recalibrate each model to local conditions. Her ongoing research includes work characterising the signature of dissolved organic matter (DOM) flux in freshwater systems in relation to nutrient enrichment and climatic controls, funded under a NERC Large Grant (the DOMAINE programme), and a major programme funded by the UK Department of Environment, Food and Rural Affairs, and Environment Agency established to test the hypothesis that it is possible to reduce cost-effectively the impact of agricultural diffuse water pollution on ecological function while maintaining sustainable food production through the implementation of multiple on-farm mitigation measures (the Demonstration Test Catchments Programme). These programmes capitalise on recent novel analytical and in situ monitoring technologies to elucidate the fine scale variability in nutrient flux behaviours and source character in catchments, and the ways in which the hydrochemical signature of nutrient flux from catchments, defined at high resolution, may be used to diagnose the stresses on that system and their likely responses to proposed on-farm mitigation efforts. Penny obtained a BSc in Environmental Science in 1986 at the University of Plymouth, and a D.Phil from the University of Oxford (School of Geography) in 1990 where she worked with Professor Tim Burt. Her D.Phil research, funded by the UK Natural Environment Research Council (NERC) analysed the impact of agricultural practices on water quality in lowland catchments, identifying for the first time the quantitative significance of dissolved organic and particulate nutrient fractions as part of the total nutrient load delivered to waters in lowland catchments, and the importance of extreme high-flow events in the delivery of particulate-bound nutrient fractions to water bodies. She developed her understanding of the co-limiting role of nitrogen and phosphorus in eutrophicated waters during her postdoctoral research in the Department of Environmental and Evolutionary Biology at the University of Liverpool where she worked with Professor Brian Moss to develop the UK Lake Classification and Monitoring Scheme, funded by the UK Environment Agency, developing the first of her many collaborative research programmes with the stakeholder community. In 1993 she was appointed to a Lectureship at the University of Reading where she was promoted to a Readership in Freshwater Science in 1998 and Professorship in Freshwater Science in 2002. She became Director of the Aquatic Environments Research Centre at the University of Reading in 2002 (which she co-founded with Professor Paul Whitehead in 1995), and Executive Director of HYDRA in 2006, a research partnership linking hydrosciences researchers at the universities of Reading, Oxford, Imperial College London, Queen Mary College London, UCL and the NERC Centre of Ecology and Hydrology and British Geological Survey. Penny joined the University of Bristol on 1st January 2014, taking up a Chair in Biogeochemistry.